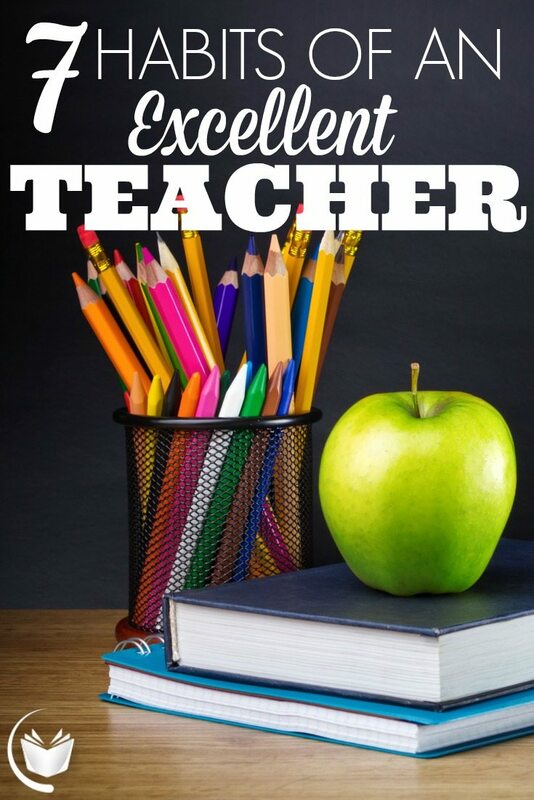 These seven teaching habits of an excellent teacher are seven down and dirty tips for teaching college students. They are based on Chickering’s and Gamson’s “Seven Principles for Good Practice in Undergraduate Education.” Whether you’re a college professor or a high school teacher, there are teaching tips every college professor can work on as you reach your mid-semester stride. I’ve seen my colleagues and former professors do everything from host dinner parties in their homes to keeping a ready supply of candy in their office. There is no doubt their students feel more comfortable interacting with professors who make an effort to care about their students. No matter what you do, it’s important to be approachable. It can be something as simple as opening your door during office hours instead of making students knock. So many students are already nervous to talk to professors one-on-one, and they will take any excuse we give them to walk by the office instead of coming in. Sometimes a conversation is all that a student needs to tap into their buried motivation and do well in a course. Deep learning takes place when it connects emotionally to an individual. Students are often more willing to open up and explore concepts within a small group discussion rather than the entire class. Carving out time for this, even in a large lecture class, is important. Structuring a debate is one effective way to encourage teamwork. In my composition course, I break students up into four groups and have each group represent a single point of view. This allows them to break out of the either/or mindset and research the nuances between each view and the overall topic. They work together and the sense of competition that stirs during the actual debate both unifies and energizes the team. One way to define education is “an enlightening experience.” This enlightenment in nearly impossible unless students take the knowledge presented to them and apply it to their lives. According to Chickering and Gamson, they must talk about what they are learning, write about it, relate it to past experiences, and apply it to their daily lives. They must make what they learn a part of themselves.” Cathy Davidson writes about the iPod experiment at Duke where all incoming freshmen were given a first generation iPod and encouraged to use it for educational purposes. Non-freshmen would get a free iPod if they could convince their professor to use it in the classroom. This initiated a kind of active learning with a tool that no one knew how to use yet. Engaging with the material, with or without an outside tool, is the ultimate goal. This is one of the most difficult aspects of teaching a writing composition course. When composition courses are capped at 29 students and you teach two or more sections, providing prompt feedback is difficult. Nonetheless, the longer you wait to return an assignment, the less a student will care. Students need assessed to know whether they are growing more competent in a subject area and to decide if learning is actually taking place. While it is important to give feedback promptly, any feedback is better than nothing. As a student, I had a number of professors who would never return essay assignments, so I didn’t know what I didn’t know. Feedback is a critical part of the learning process so students can reflect on where they still need to improve. In my experience, time management is not regularly taught at the college level, which is the number one reason students procrastinate. They don’t know how to budget their time and work smarter instead of harder. Helping students understand how to effectively manage their time starts with managing expectations for how long a task will take. If I assign a novel, I let students know how long the audio version is because most readers will read faster than that. If a novel read aloud takes 13 hours, then I encourage students to find 13 hours in their schedule to complete the reading. This allows them to follow the squirrels of distraction and return to the task at hand. If they don’t finish the novel by the time they need to, it’s typically because they didn’t budget the time. Breaking down the essay writing process is another way to encourage time management. For the brainstorming process, I encourage students to spend about an hour searching the Internet for anything they can find on their topic. No matter what, learning takes time. Students cannot expect to understand material by just sitting in a class and listening to an hour lecture. Many of them need explicitly told this and shown how to manage their time with each assignment. Many professors start out with high expectations of their students but become jaded over time about the effort that students put forth. Chickering and Gamson write, “Expect more and you will get it. High expectations are important for everyone–for the poorly prepared, for those unwilling to exert themselves, and for the bright and well motivated. Expecting students to perform well becomes a self-fulfilling prophecy when teachers and institutions hold high expectations of themselves and make extra efforts.” One of my colleagues will never use the word “rhetoric” when teaching persuasive writing because he claims students just don’t get it and their eyes glaze over when they hear that word. It’s our job as professors to explain difficult concepts in a way students will understand, but if we expect them to fail, they absolutely will. Howard Gardner’s theory of multiple intelligences helps teachers begin to understand their classroom is a melting pot of unique minds. There is usually a dominant intelligence, and it is helpful for students to know this about themselves because it allows them to take initiative in understanding the information presented in a way that best suits them. These seven tips for teaching college students are just a starting point for becoming an excellent teacher. What each habit emphasizes is that there is a shared responsibility between teacher and student to propel the educational experience forward. It’s not just about what a professor says or does, but how they will motivate the student to move forward with the information. Do you have any examples of how a teacher can help facilitate one of these habits? Please be sure to leave a comment and let me know. Join our newsletter to find out more about our literature and philosophy courses. When you do, you’ll receive our special edition of the best books we’ve read on teaching and learning. Great! See you in your inbox! I normally ask myself how do I become a unique teacher among my fellow ones?.. Upon reading this article, I have gotten an idea of how my uniqueness in the teaching field shall be achieved. Thank you.